Keep Your Pet Safe from Fires and Starting Fires | Woof Report | The best email newsletter for dog lovers. Did you know many house fires are accidentally caused by pets? Prevent home fires and keep your pets from starting fires with these pet fire safety tips. October is National Fire Safety Month, a perfect opportunity to remind those with pets that our furry darlings can accidentally start house fires. According to the National Volunteer Fire Council, an estimated 500,000 pets are affected by home fires each year and nearly 1,000 house fires are accidentally started by pets. How can it be? They can’t use matches, they don’t require scented candles at bath time, and last we checked, they weren’t smoking in bed. Still, there are many ways pets can contribute to starting fires in the home – a dog or cat can knock over a candle with an open flame or a dog can jump up and accidentally hit the knob to turn on the stove-top burner. The latter I would have found hard to believe if it had not happened in my own home – the result of storing chicken jerky treats on top of the fridge next to the stove, and a dog that jumps with four paws off the floor at treat time. My stove knobs are now stored in a bowl nearby the stove because simply moving the treats wasn’t enough for my peace of mind. Keep reading to get a FREE pet rescue window alert; place these in the windows of your home to alert firefighters about your pets. And find fire prevention and safety tips further below. Petplan pet insurance and Wag’N Enterprises pet safety gear are offering free rescue window alerts for dogs and cats. Customize yours with your pet’s photo, name and potential hiding spot to help expedite rescue; a sample is in the photo above. Even better, for every 100 pet rescue alerts created during October and November, a pet oxygen mask kit will be donated to a U.S. fire department. Visit www.GoPetplan.com/firesafety for your free personalized pet rescue alerts. Through a partnership between The American Kennel Club® and ADT Security Services, order a free Pet Fire Safety Window Cling online. The American Kennel Club® and ADT Security Services offered the following tips as part of the annual National Pet Fire Safety Day (July 15) to spread awareness about how pets can start home fires and how to keep your pets safe. Extinguish open flames. 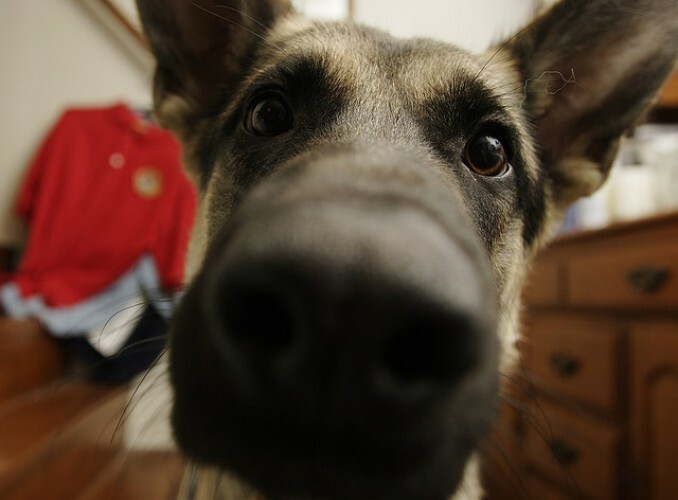 Pets are generally curious and will investigate cooking appliances, candles, or even a fire in your fireplace. Ensure your pet is not left unattended around an open flame and make sure to thoroughly extinguish any open flame before leaving your home. Invest in flame-less candles. These candles contain a light bulb rather than an open flame, and take the danger out of your pet knocking over a candle. Cats are notorious for starting fires when their tails turn over lit candles. Beware of water bowls on wooden decks. Do not leave a glass water bowl for your pet outside on a wooden deck. The sun’s rays when filtered through the glass and water can actually heat up and ignite the wooden deck beneath it. Choose stainless steel or ceramic bowls instead. Secure Young Pets. Especially with young puppies, keep them confined away from potential fire-starting hazards when you are away from home such as in crates or behind baby gates in secure areas. Consider Using Monitored Smoke Detectors. Since pets left alone can’t escape a burning home – consider monitored smoke detectors, which are connected to a monitoring center so emergency responders can be contacted when you’re not home. These systems provide an added layer of protection beyond battery-operated smoke alarms. 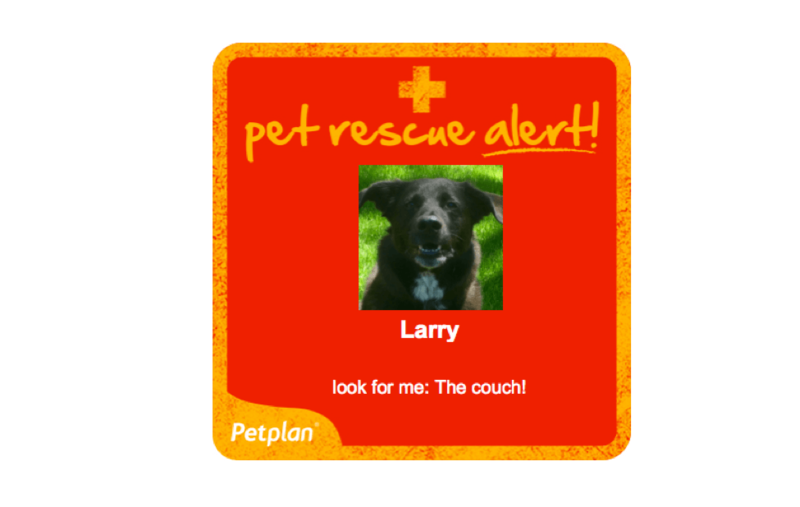 Affix a Pet Alert Window Cling. Write down the number of pets inside your house and attach the static cling to a front window. This critical information saves rescuers time when locating your pets. Make sure to update the number of pets listed. The best way to evaluate the fire hazards in your home is to get down on your hands and knees and look at hazards from the dog’s point of view. With electrical cords, especially, out of sight is out of mind –and so often, pets chew on them. Best to keep them away, for their safety and yours. It may not be practical to gate off all electrical installations in the house; “cord runs” — molded plastic conduits that attache to the wall — are a good alternative solution, and have the added benefit of keeping cords organized and tangle-free. Those photo alerts are SO cute!!! 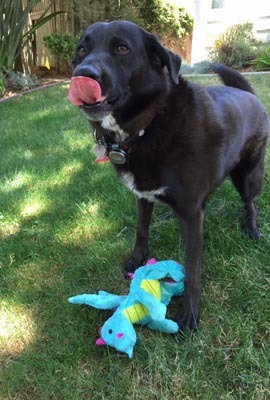 Love your dog and going to do one for each of my 4 pets! Great stuff. Thanks.